Mahesh Sanwal is a young and progressive farmer from Naya Pandaygaon, Kotabagh, Uttarakhand Region. 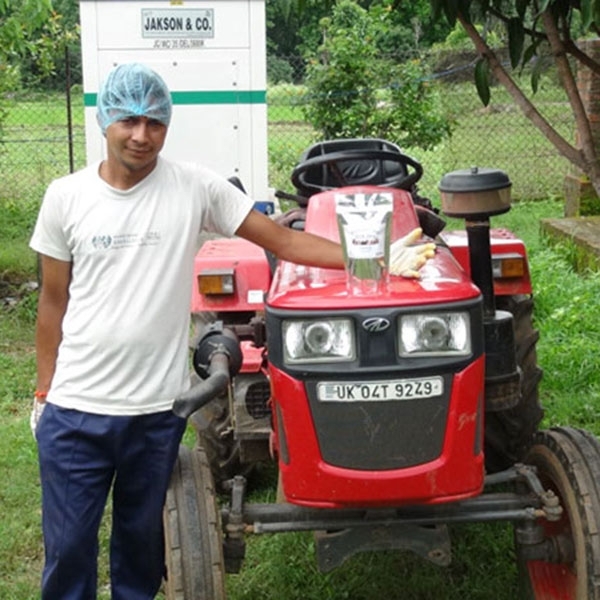 He has been following responsible farming methodologies for sometime now and has been working with other farmers in the region to help them make the shift as well. Mahesh has formed a farmer cooperative, under the name of Devbhoomi Farmers. The idea of the cooperative is to help small and marginal farmers, who have moved to responsible farming, find markets for their produce so that they make good returns for their efforts. Honey Dew Papaya is one of the sweeter variety of Papayas grown in the country. The fruit is large in size and has an average weight of 1.5 to 2Kgs per fruit. The outer skin remains yellowish green on ripening and it has few seeds on the inside. The variety is known to have a thin skin as compared to the other varieties and has a better keeping quality.